In September 2011 RIAR opened an onsite museum to celebrate its 55th anniversary. Covering over 60m2, the exhibition displays the RIAR’s history, key activities and promising projects. There are interactive panels with the most relevant information about RIAR. 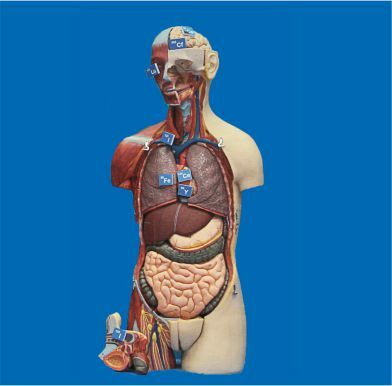 A scale model of the RIAR’s site was made in 1980 to show the RIAR’s location and main routes, as well as its infrastructure including the experimental and scientific capabilities and utilities. The Poly-Functional Radiochemical Complex is intended to try out promising technologies of the closed nuclear fuel cycle. ARBUS – a nuclear reactor cooled by organic liquids of good moderating properties and high temperature of boiling at atmospheric pressure. After renovation the reactor became a nuclear heating plant. It was shut down in 1988, and now it is undergoing decommissioning. 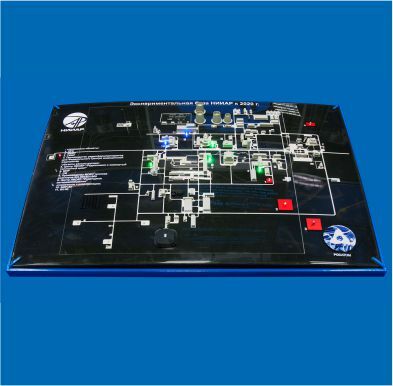 All hot cells have high-level radiation protection, manipulating tools, lighting, ventilation, radiation monitoring devices, equipment to remotely transport radioactive materials, and decontamination equipment. 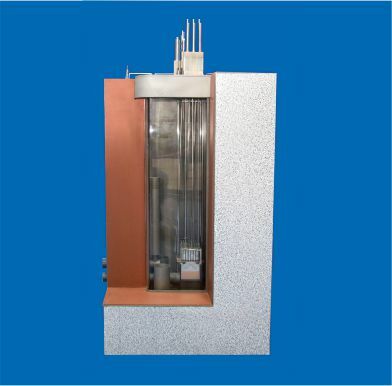 The biological shielding of the hot cells is 3.6–4.2 g/cm3 concrete. The concrete wall is 1 meter thick. 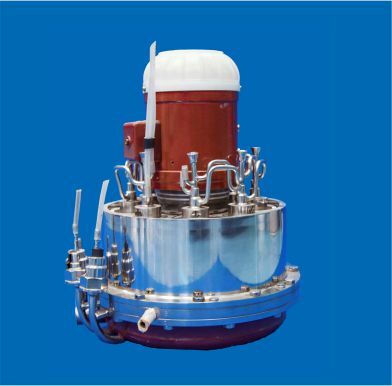 The high-flux research reactor SM-3 is a vessel-type water-cooled reactor operated at intermediate neutrons. The reactor is unique being one of the world’s research reactors with the highest flux, which provides for accumulating transplutonium elements and accelerated testing of materials to achieve high neutron fluence. The reactor design concept is to have high thermal neutron flux density in a moderating trap in the core center. 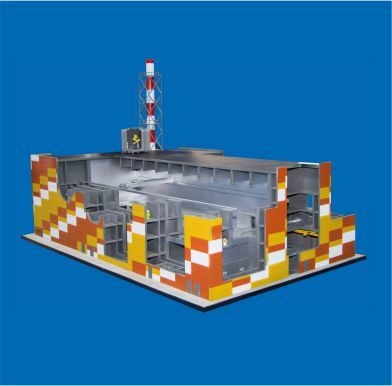 RBT-6 and RBT-10/2 are pool-type reactors that use spent fuel assemblies of the SM reactor. 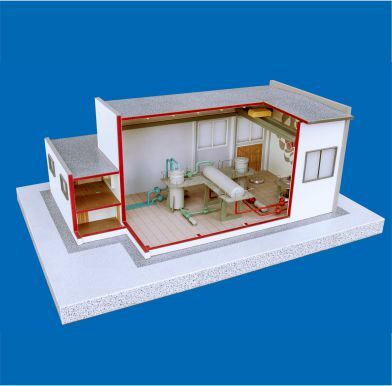 The key benefit of the RBT reactors is their simple and effective design that makes it possible to set up the required irradiation conditions by changing the core size and arrangement; the experimental channels are available as well. 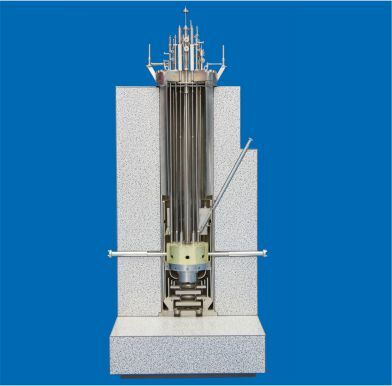 The irradiation rig is intended to accumulate fission molybdenum-99 in the RBT-type reactor core. At the first stage of Mo-99 production startup, a rod-type target was chosen the optimal one based on a comparative analysis of thermal-hydraulic parameters taking into account the well-established procedures to fabricate targets to be used for radioisotopes accumulation. 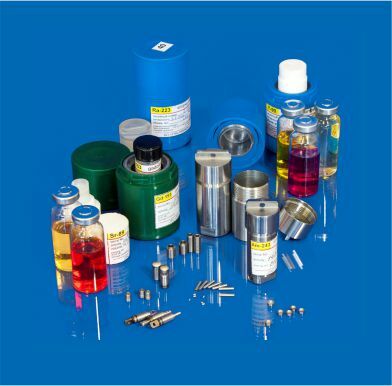 RIAR produces molybdenum-99 and radioisotopes for medical use, such as californium-252, cobalt-60, gadolinium-153, iodine-131, iodine-125, strontium-89, tungsten-188 (rhenium-188 generator), lutetium-177, etc. 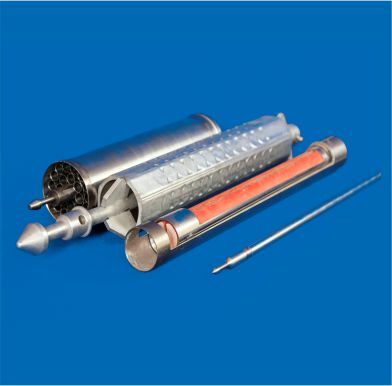 RIAR produces Cf-252 neutron sources for medical and industrial uses, and gamma radiation sources for medical use, such as Co-60 and Ir-192 sources with holders, Gd-153 sources, and manually installed Co-60 sources. 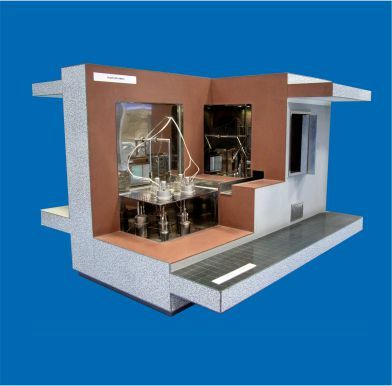 RIAR designed a semi-reverse-flow centrifugal extractor with a movable heavy phase (water) for radiochemical production, thus creating wider prospects for applications of the extraction method in chemical technology. A transport packaging set is intended for storage and shipment of radioactive materials including ionizing sources based on non-fissionable materials, such as high total activity cobalt, iridium, californium, etc.